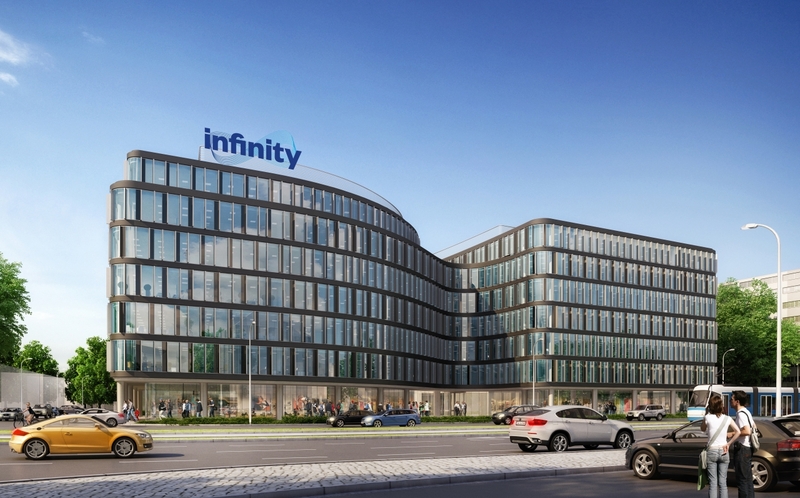 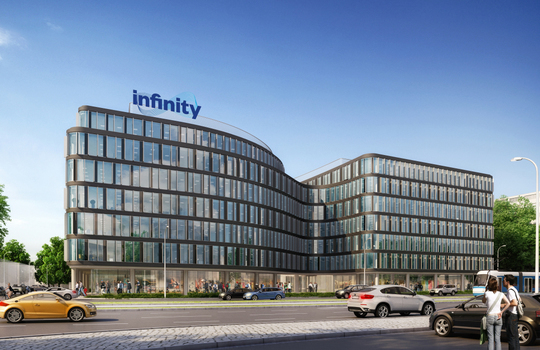 Infinity will be an A class office building offering over 22 036 m2 of gross lettable space. 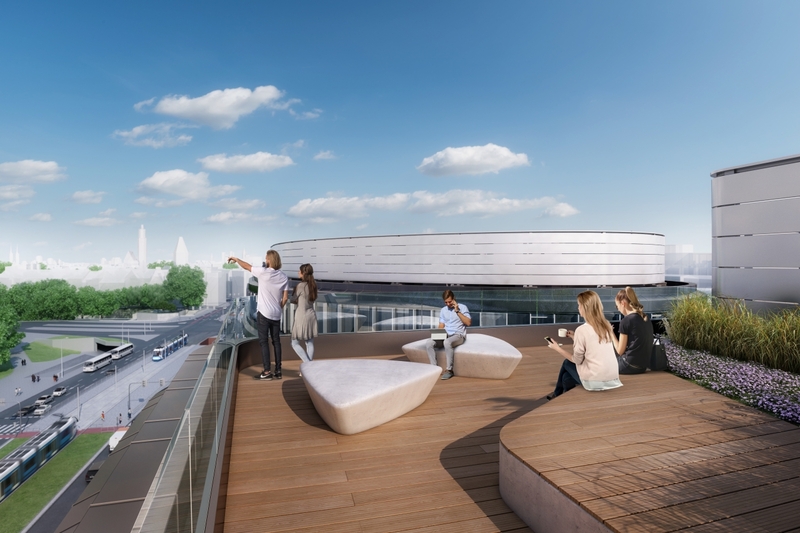 The building will have 7 above-ground floors and 3 underground floors, in which will be garage with 303 parking spaces, 120 bicycle parking stations, changing rooms and showers. 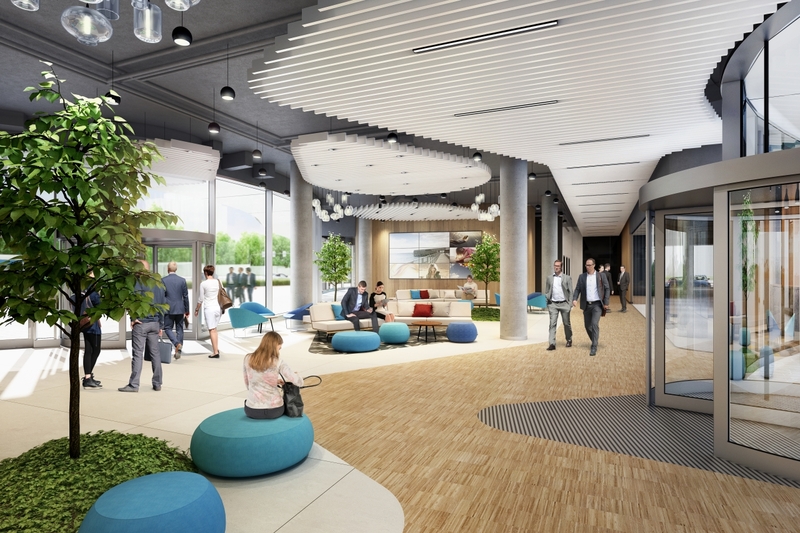 Other encouraging factors will include 15 motorbike parking spots, electric car charging station, relaxation zones together with the three green terraces and a planned fitness club. 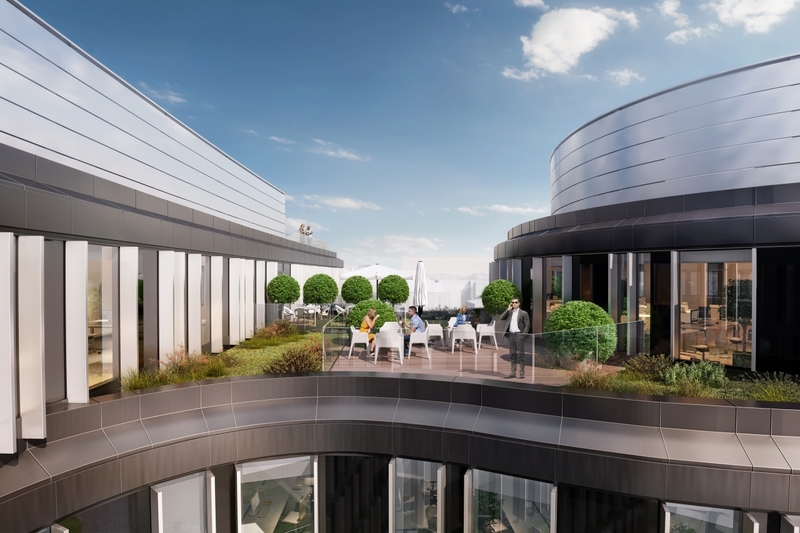 This modern office project combines the highest quality of space, a solid architecture and an excellent location in the city centre. 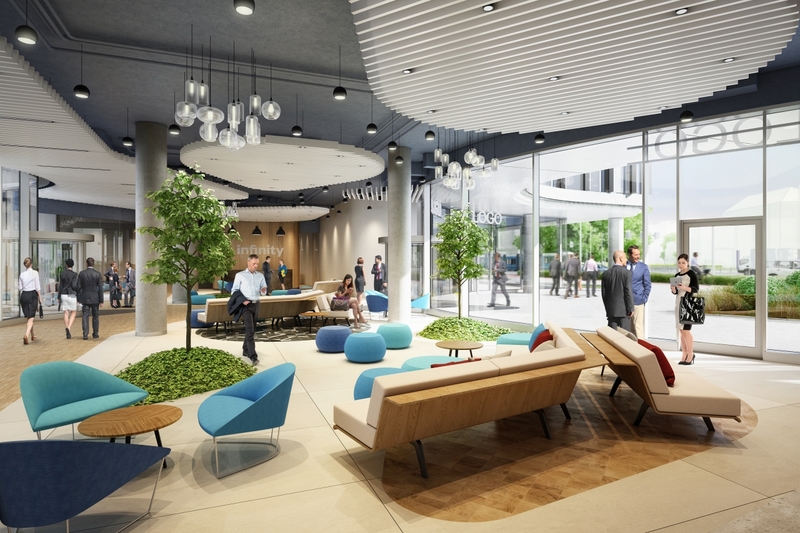 Other planned services in the building are to include catering services, cafés with outside sitting, convenience store and a medical clinic. 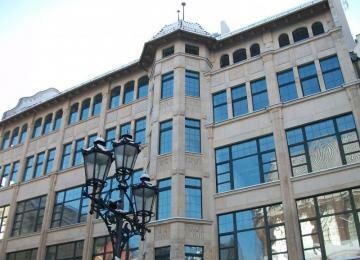 The building has also received a preliminary BREEM Excellent certification. 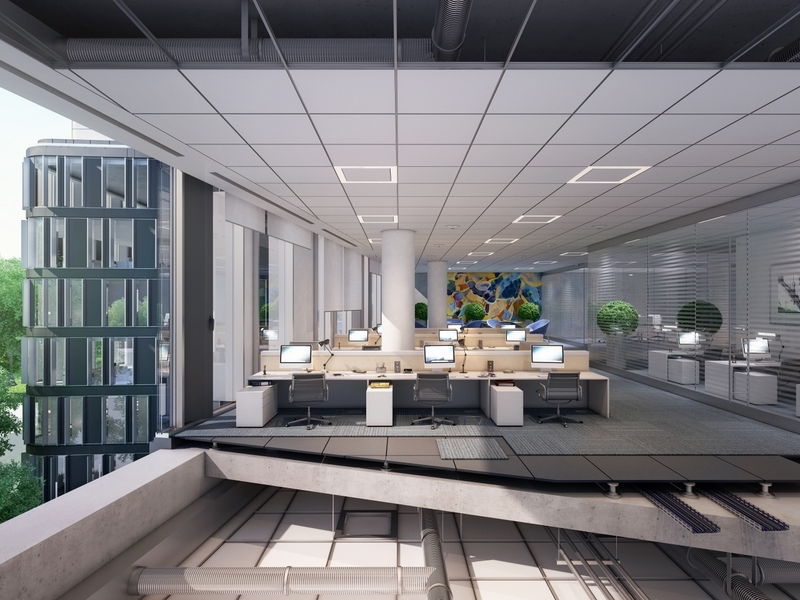 Offices will be air-conditioned and have raised floor, suspended ceilings and carpeting. 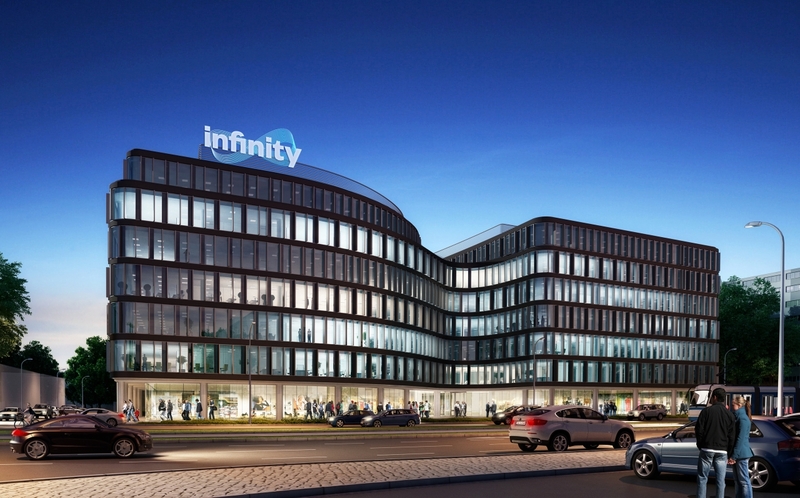 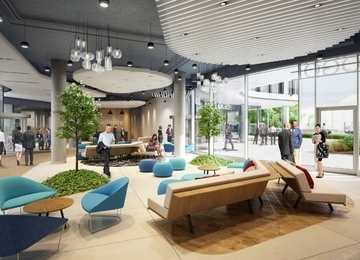 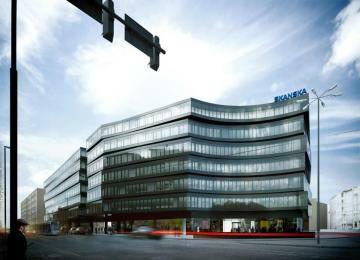 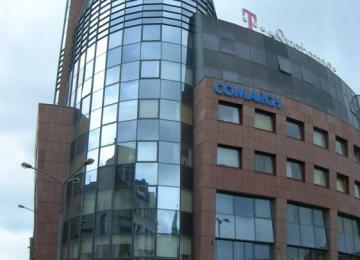 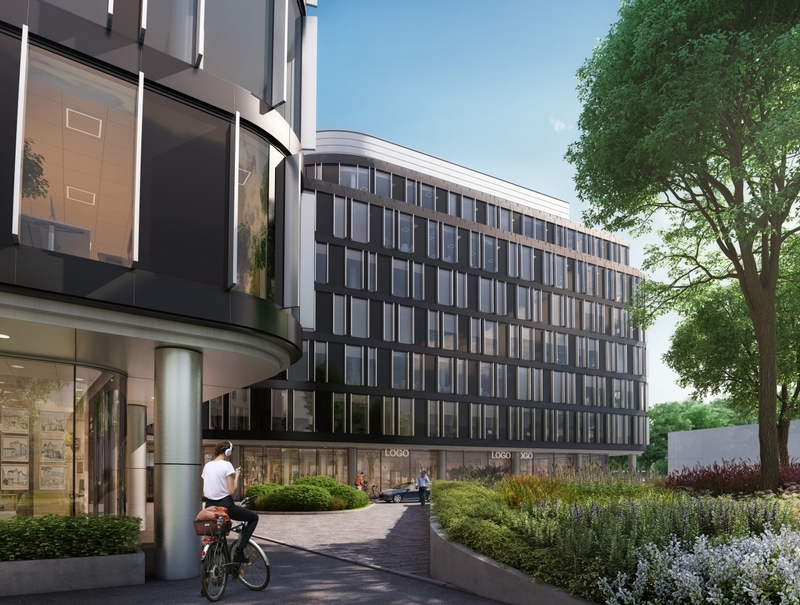 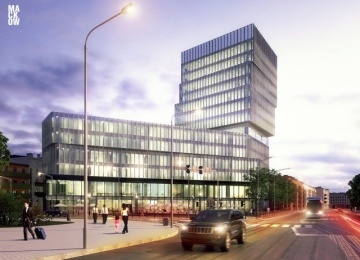 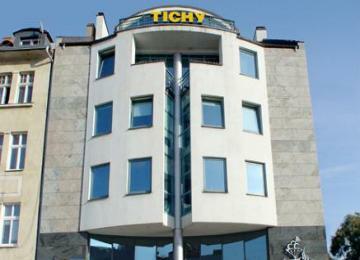 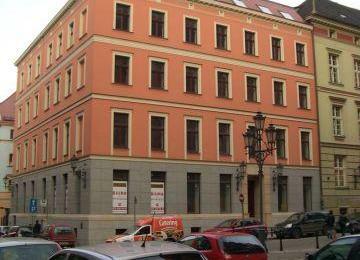 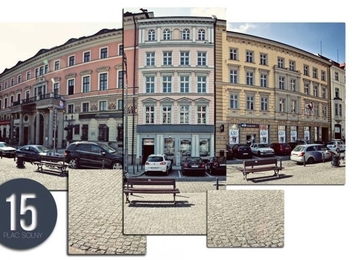 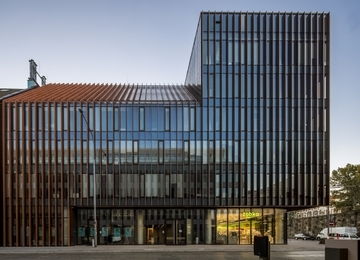 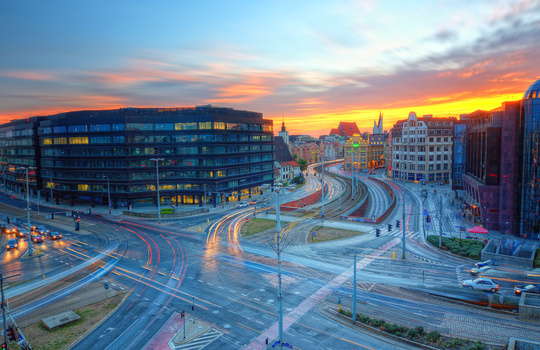 Infinity will be located in the very centre of Wroclaw by Legnicka and Nabycinska Street. 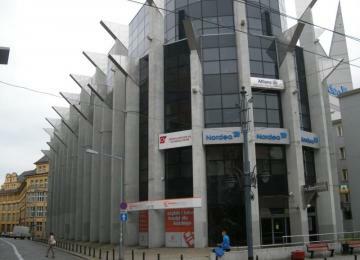 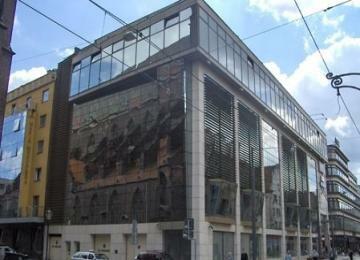 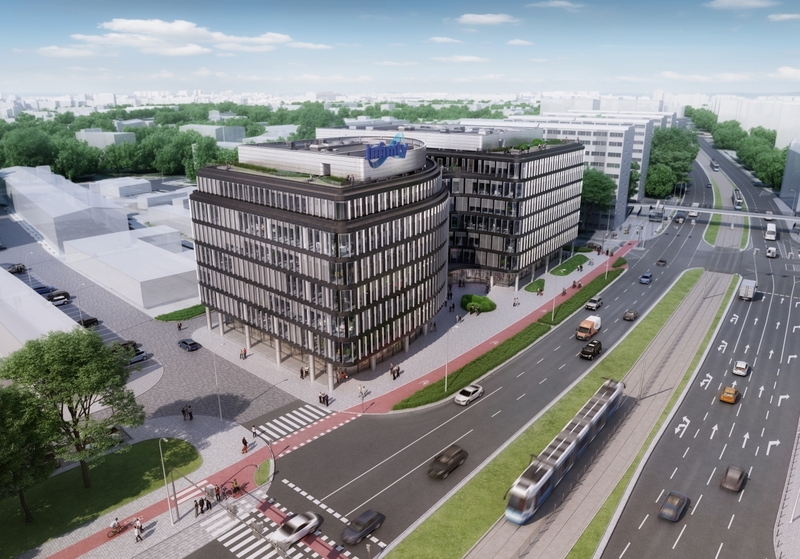 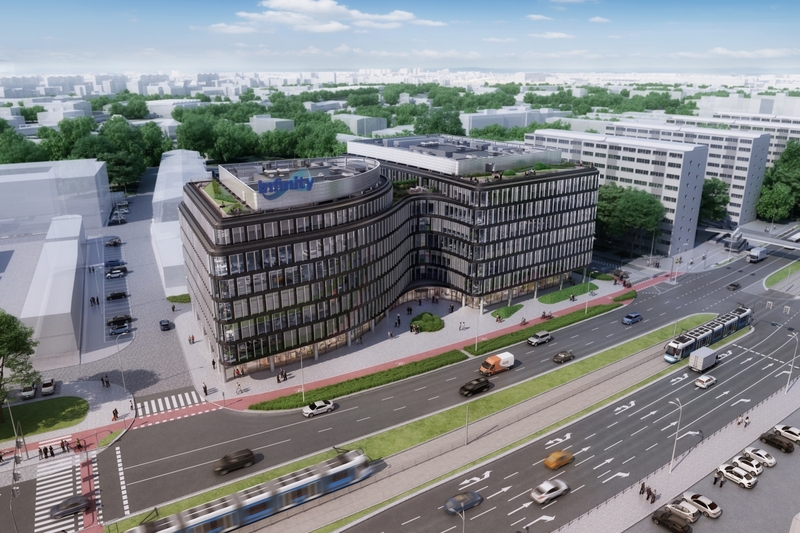 The building will be located in the heart of public transport hub by Plac Jana Pawla II. 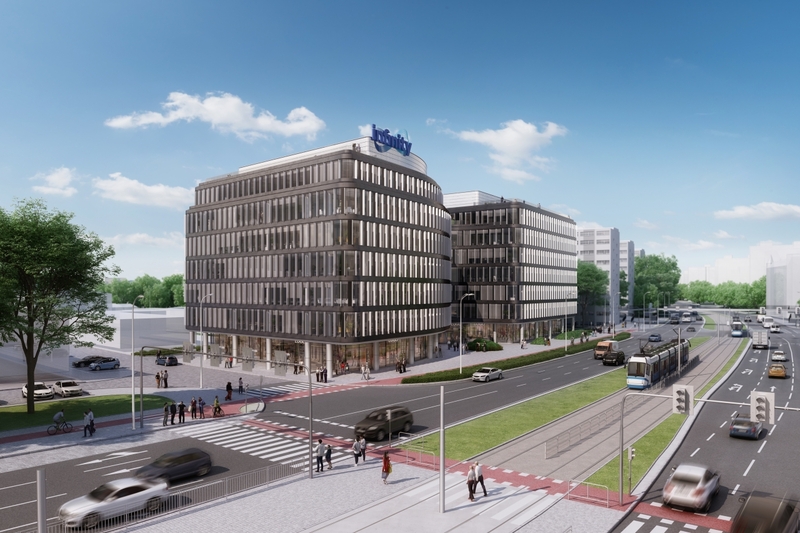 This location will enable workers to easily access other business and residential areas of the city, whether by public transport or car/bike. 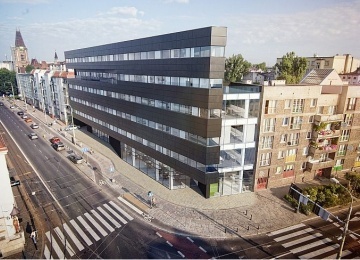 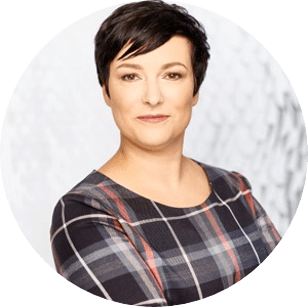 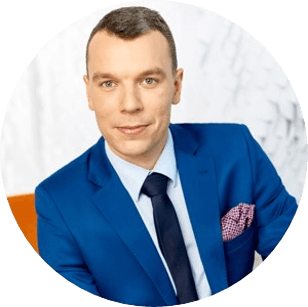 The building is less than 4 minutes to the Old Town Market, 13 minutes to the Main Train Station and 30 minutes to the Wrocław's Airport.